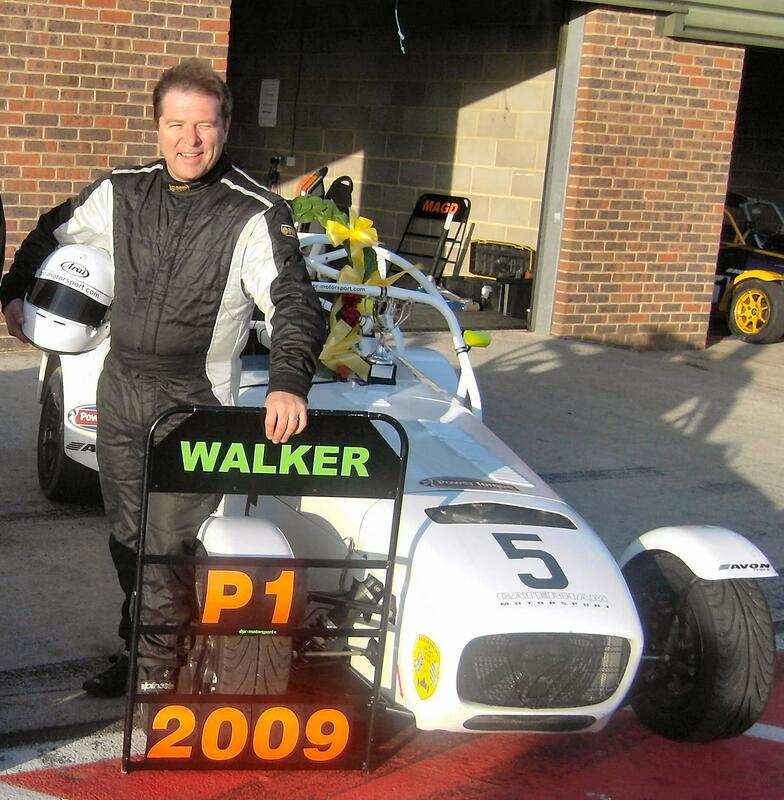 Jon Walker driving the DPR Motorsport prepared R300 used his 15 point championship lead to nail the 2009 Caterham Superlight R300 championship in the first race at Snetterton. The close fight for second place in the championship was not resolved until the final race when Walker’s close rival James Sharrock finished just one point ahead of Matthew Draper. Although Walker arrived at Snetterton with a 15 point championship lead, the wet conditions for the Saturday qualifier and the crucial first race put the final outcome very much in play. Walker set the scene by a blistering pole in qualifying that was 0.6 of a second faster than second man on the grid Peter Young. The start of race one saw Walker drop back to fifth but he was soon shadowing the leading pack in fourth. With rivals Leroux and Sharrock down the field, fourth would have been good enough but a final lap encounter between Young and Wilson enabled Walker to nail the championship with the second place result behind race winner Ollie Taylor. Robert Springate in his debut R300 race took the newly-built DPR Motorsport R300 to an excellent 5th place. The weather changed overnight and the sun shone over Snetterton for race two on the the Sunday. After some frequent lead swapping the race settled down to Walker chasing Taylor for the closing stages of the race. With the championship outcome determined, on the penultimate lap Walker went for a brave pass on the exit from Russell but spun out on to the grass allowing the following pack to get by. Taylor gained another well-deserved first place followed by Sharrock and Young. Sharrock’s podium gained him 2nd overall in the championship followed by Draper in third and Wilson in fourth. With no more than three championship points separating these three drivers the championship race for second place stayed open until the finish.